Well, it’s not ACTUALLY new – almost a year ago I started to draft this post and realized I never hit publish. I have been remiss by not keeping up on the QuiltingintheFog.com blog, opting to use Instagram as my preferred way to track my work. 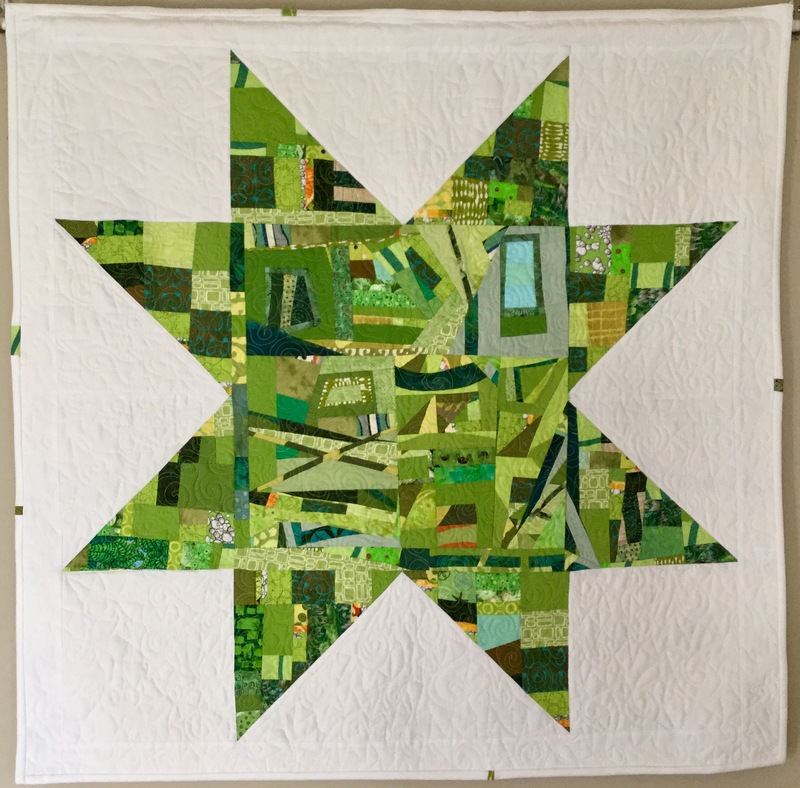 Anyhoo – I adore this quilt! I drink in all of the colors every morning and evening as I gaze upon it. Best of all, making this quilt yielded tons of scraps and tiny pieced bits that I’ve used in several other quilts since this was finished. 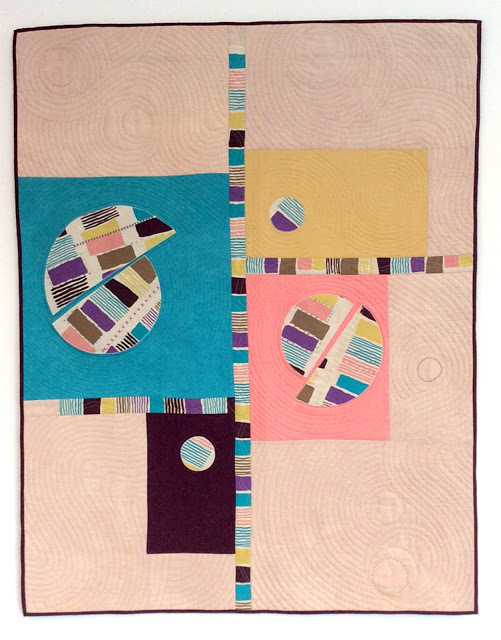 A shout out to #tarafaughnan who provided the inspiration for the #barquilt. New Bed Quilt for us! I just came back from a whirlwind business trip waltzing across Texas. It involved driving over 600 miles from Dallas, Austin, San Antonio to Houston in just 5 days. Having grown up in Houston and being a graduate of the University of Texas at Austin, I always love getting back to visit my state, family and friends, even when it’s well over 100 degrees in each location! It was definitely worth the side trip – I’m so glad I went! 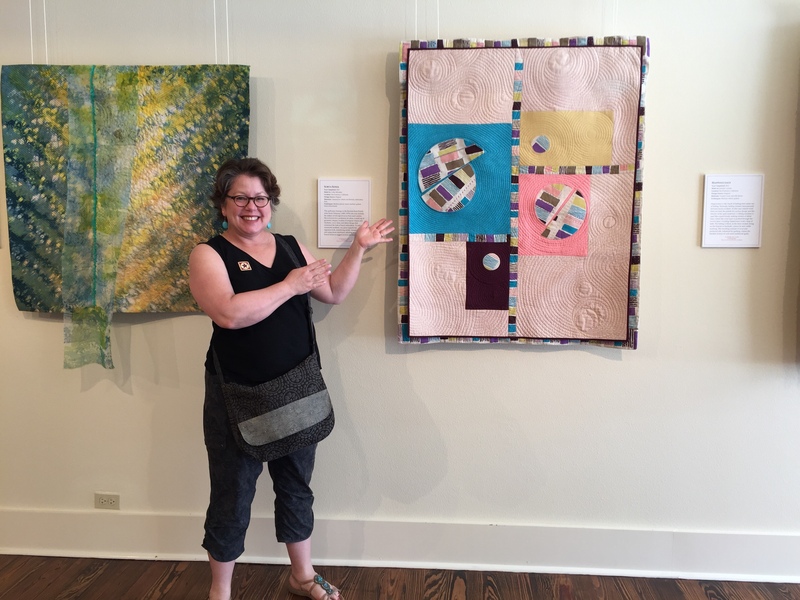 The Texas Quilt Museum is in a beautifully renovated 1890’s building with three lovely gallery spaces. The entry gallery features 21 of the “Ruby Jubilee” red-and-white quilts that were previously on display in 2014 to celebrate the 40th – or “ruby”- anniversary of the International Quilt Festival. Another gallery featured “Animal Instincts” by Annie Helmericks-Louder. Next door there is also a fabulous quilt and knitting store, The Quilted Skein, with a very large selection of gorgeous fabrics – things I have only seen together online. I was told that those who are both knitters and quilters have a hard time deciding where to focus! Knitting on the right hand side of the store, quilting on the left. Both look great! 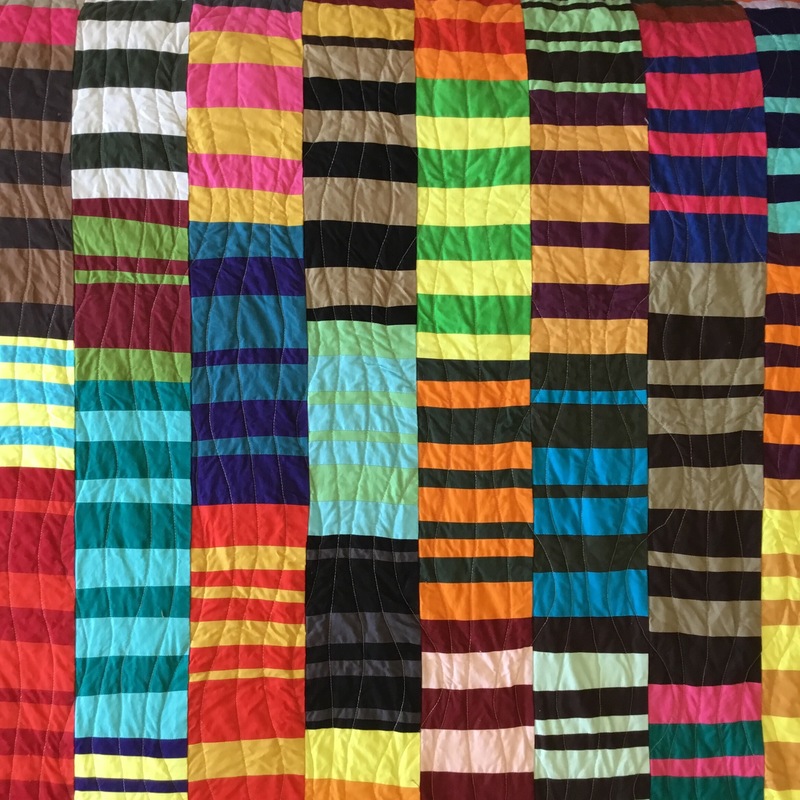 Make a trip to visit the Texas Quilt Museum if you are between Austin and Houston – worth the trip! My first tutorial — check it out! 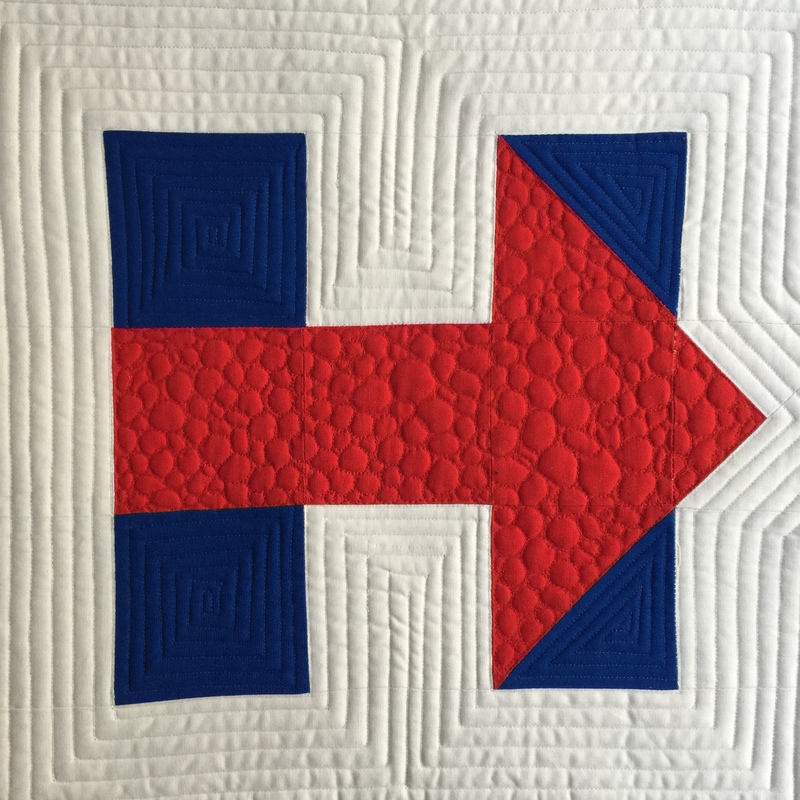 Hillary Logo Block Tutorial. Make your own! Banner/Large Size at 26″ across for the logo, 42″ square. A graduation gift for a very special girl heading to college in the fall. This is a detail of a “made fabric” improv block I hammered out last weekend. This is about 10 inches of a bigger piece that so far is about 20″x20″. I adore creating these! I don’t know what I’m making, how big it’ll get, what it will look like or what it’s for – I just take my latest pile of teeny tiny scraps and go into my sewing trance. 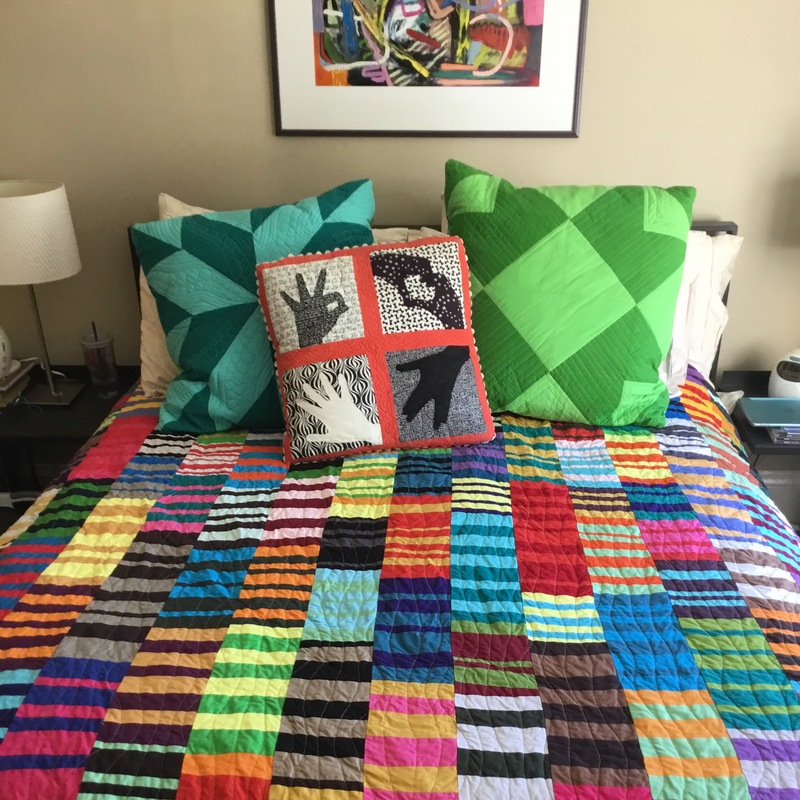 In this case I’m using leftovers from the Tomato & Tangerine quilt and contrasting pillows in turquoise and greens. FUN! Orange is my favorite color! 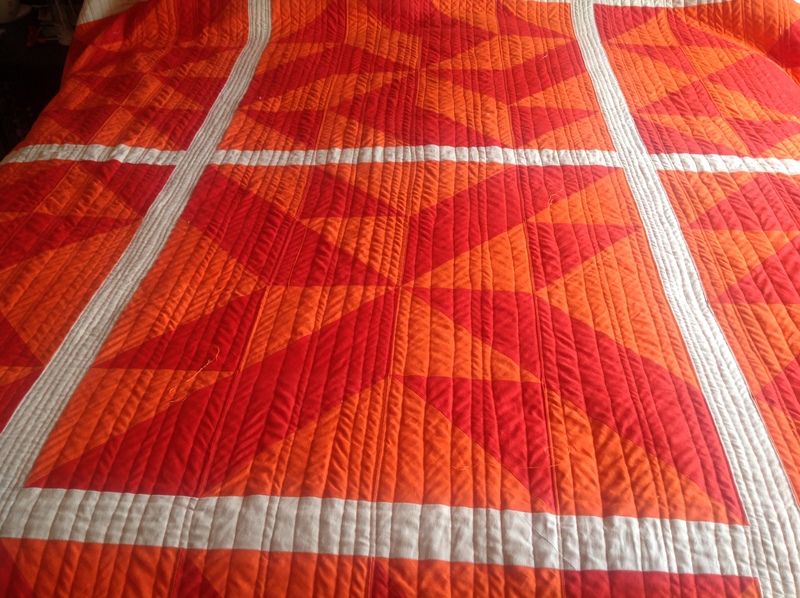 I’ve wanted to make an orange quilt for our room and started by experimenting with giant blocks made from large half square triangles (finished block is 16″). I used Kona Tangerine and Tomato Cotton Solids. When view it from far away – like on the design wall in my sewing space in the garage – I like they way it looks. However, it’s overwhelming up close! Quite eye searing in our small bedroom! The window light reflects bright orange all over the ceiling and walls to boot. 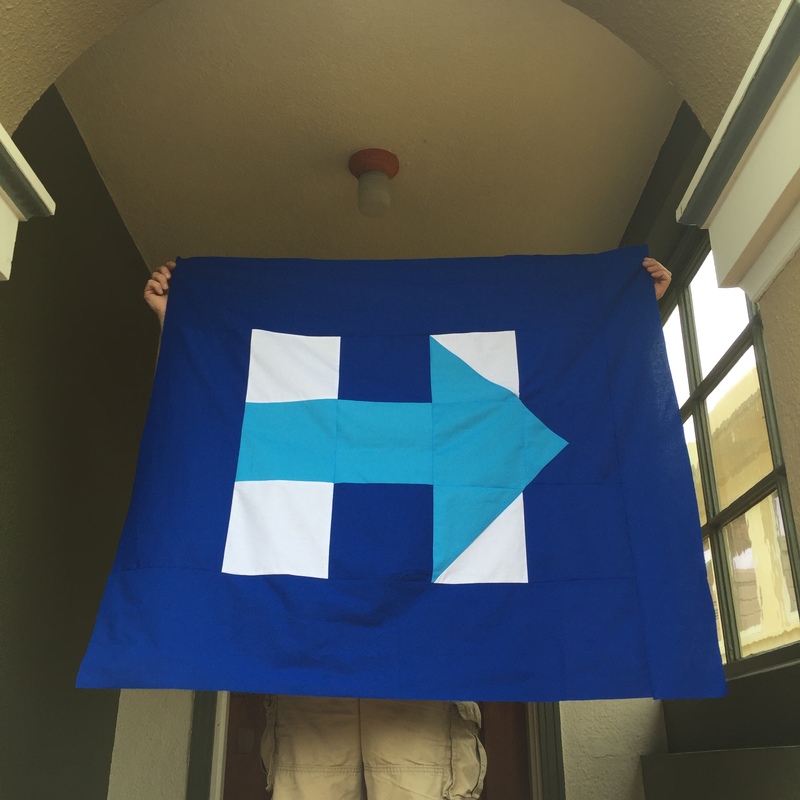 I’ll give it a try for now – it needs pillows in a cool color to on it to mellow the burn! I LOVE sewing my tiny scraps (all sorted by color, of course!) and creating “made fabric”. There is something so satisfying about making something out of what feels like nothing – especially when you take those teeny tiny pieces that you don’t want to throw away. This small star block was a test for a much bigger wall hanging I made. 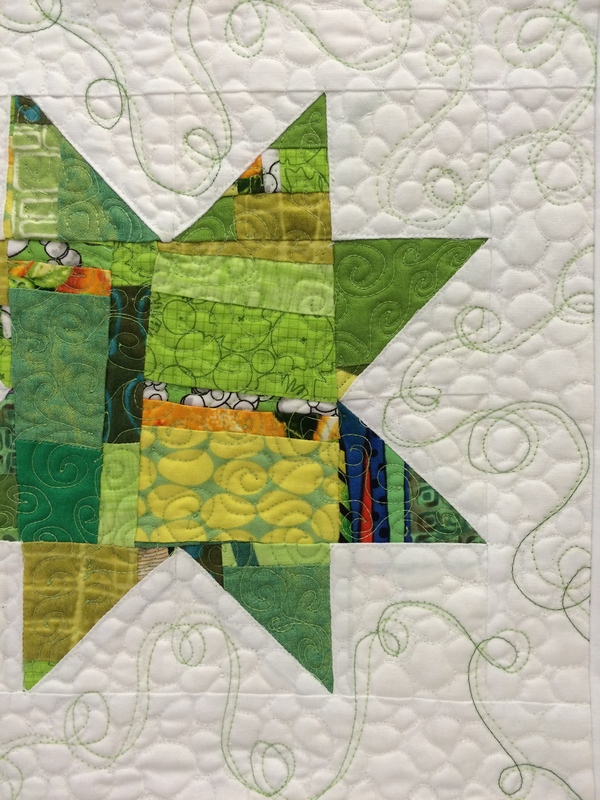 I went a little crazy on the quilting – but I just love looking at it! Above is the small trial run. 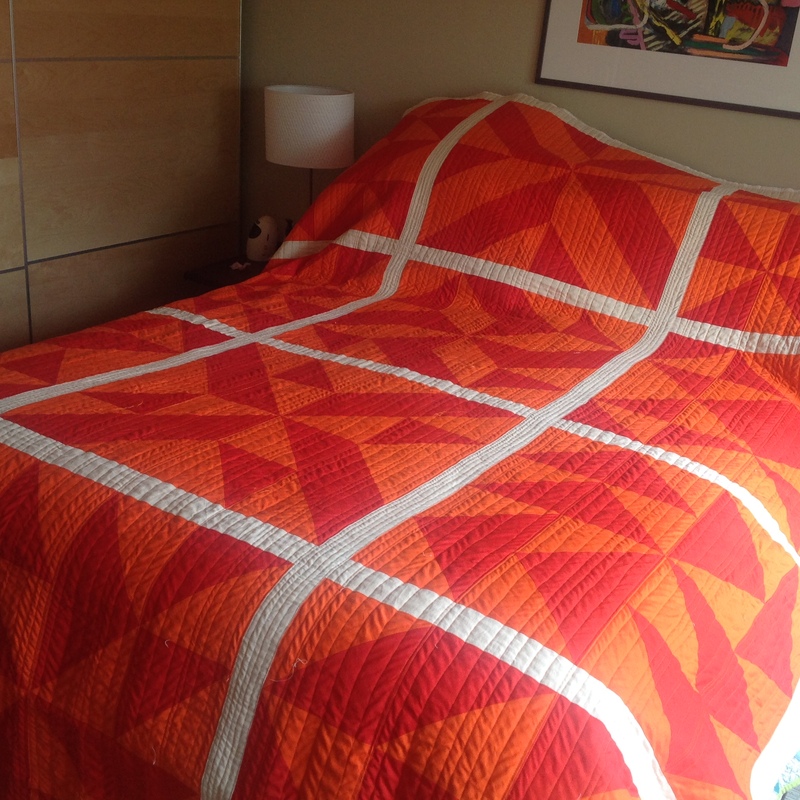 Below is the bigger finished quilt. Love em both!